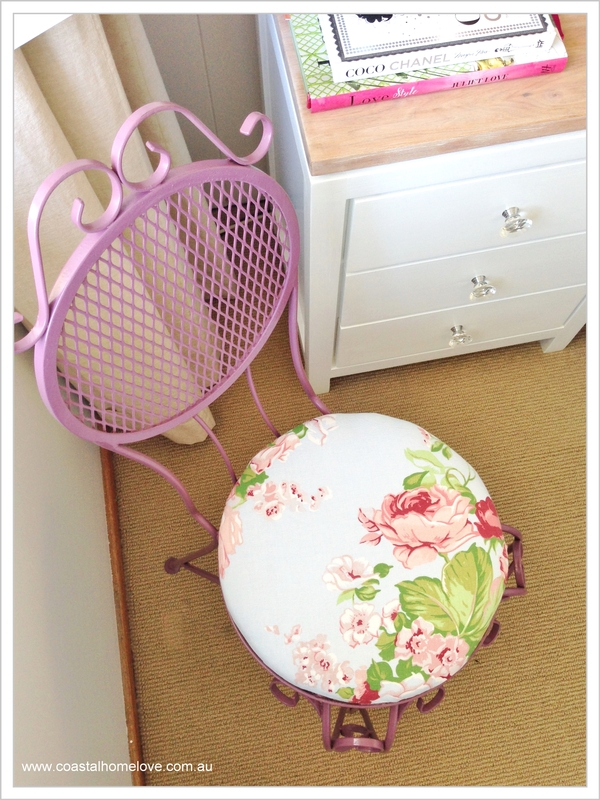 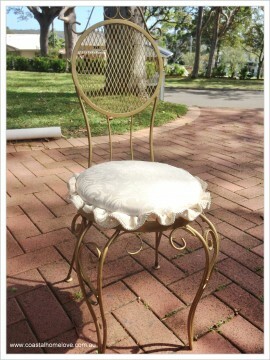 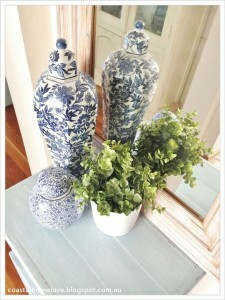 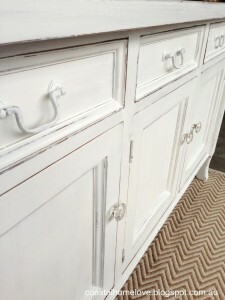 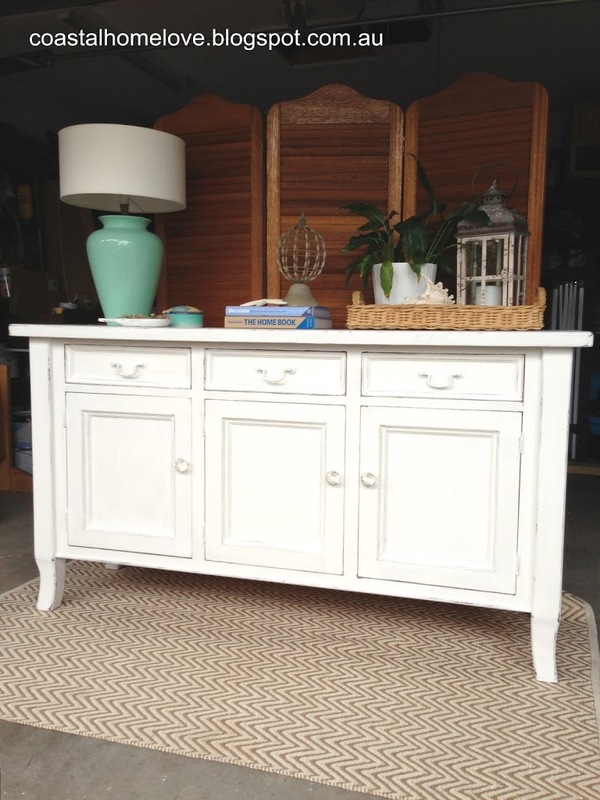 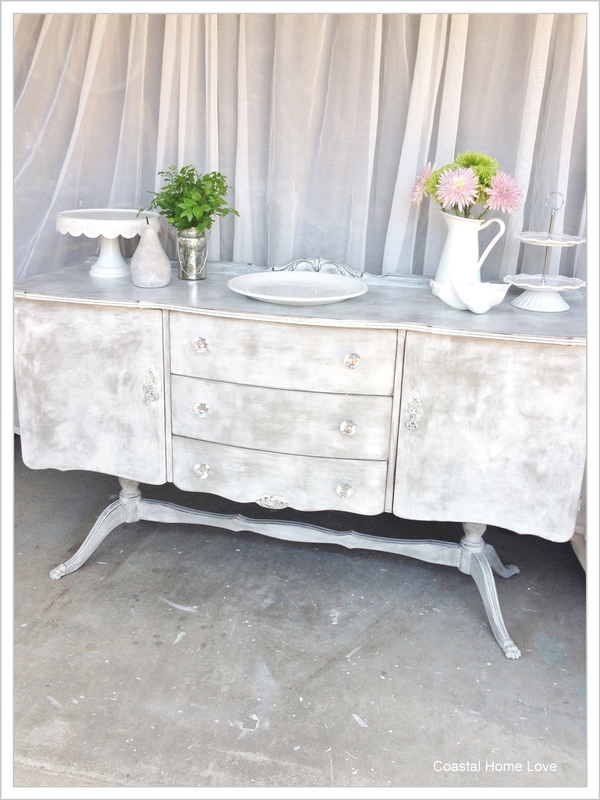 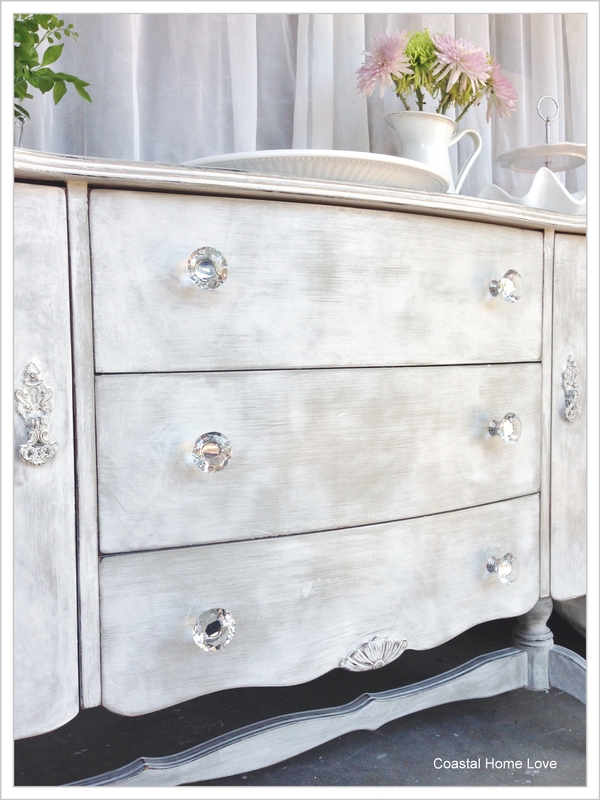 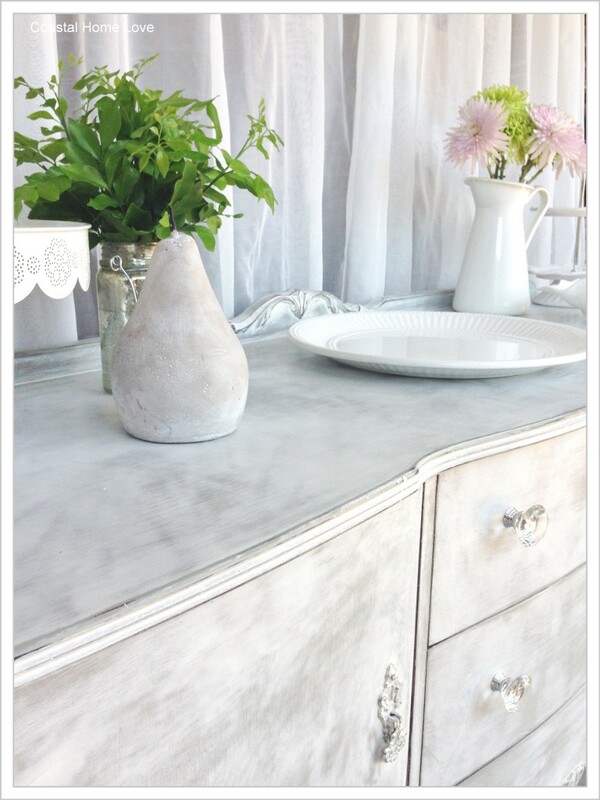 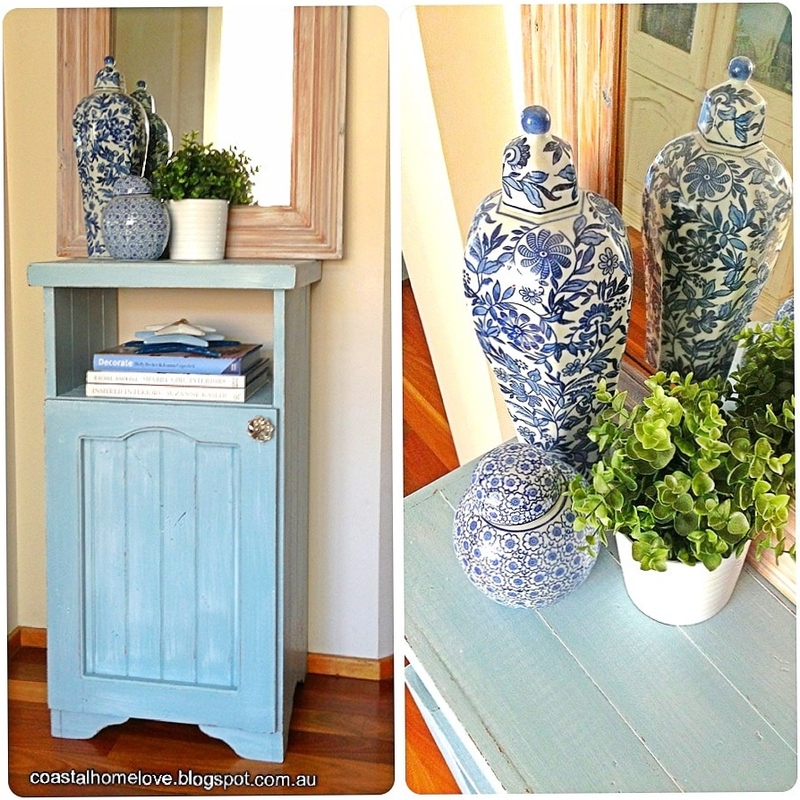 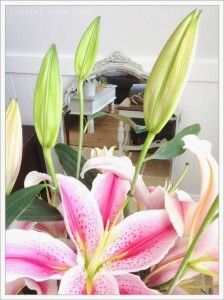 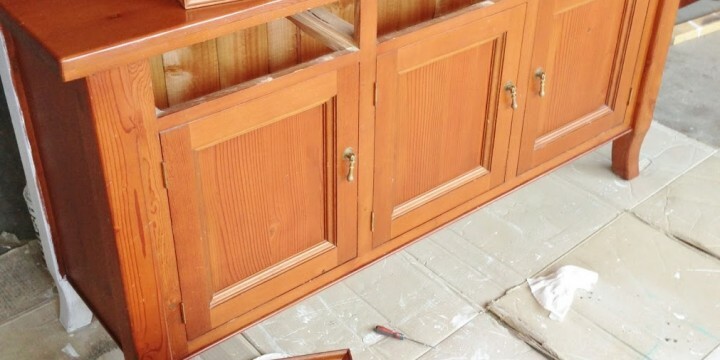 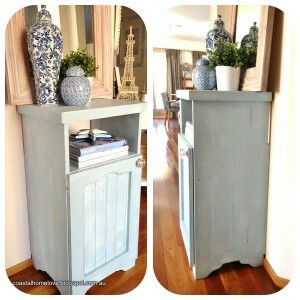 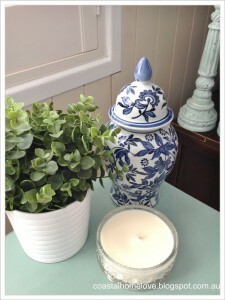 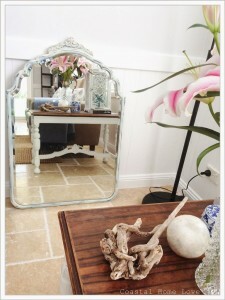 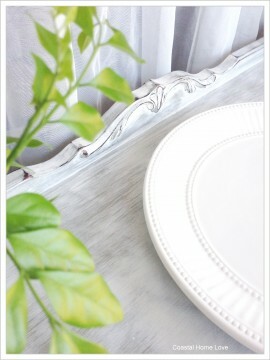 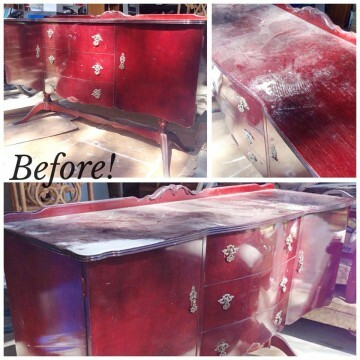 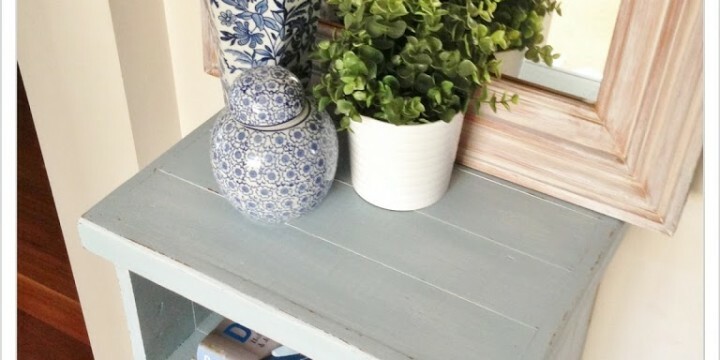 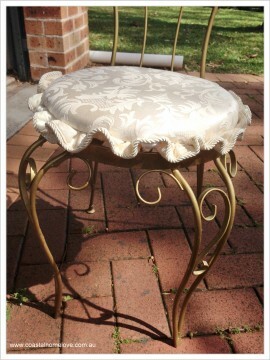 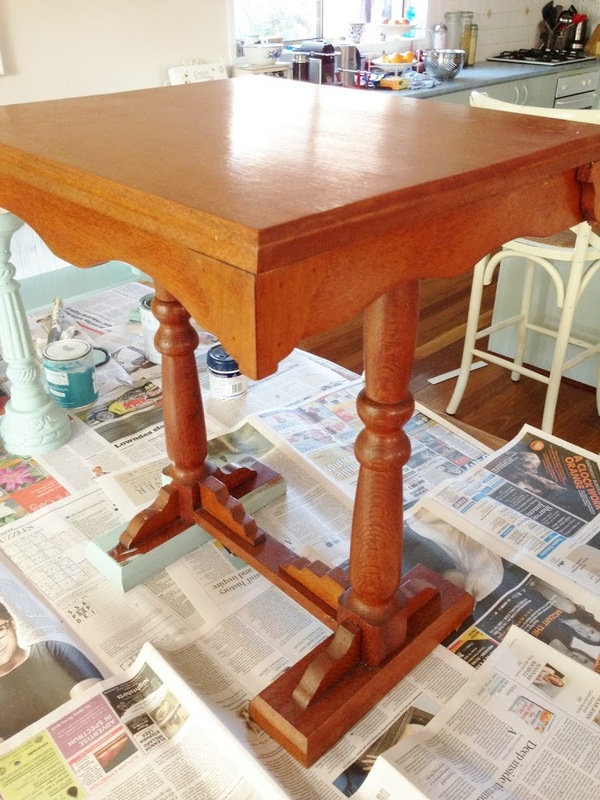 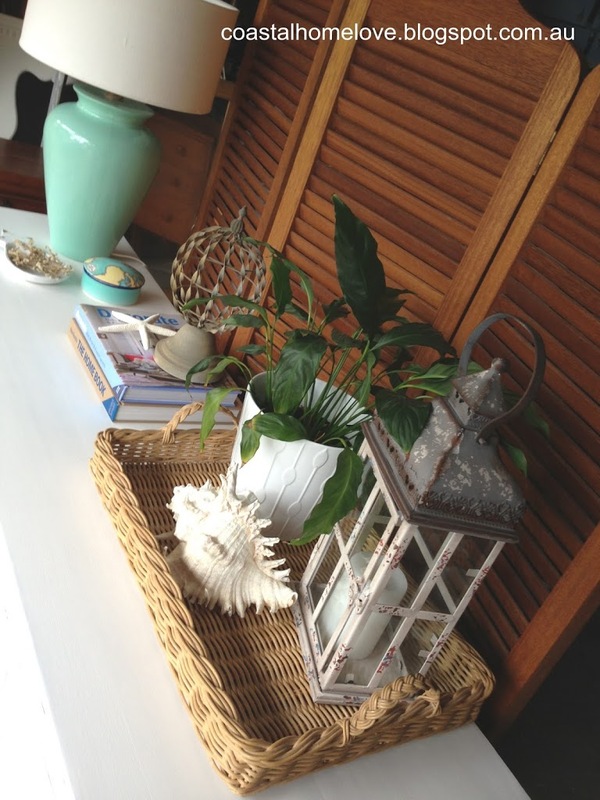 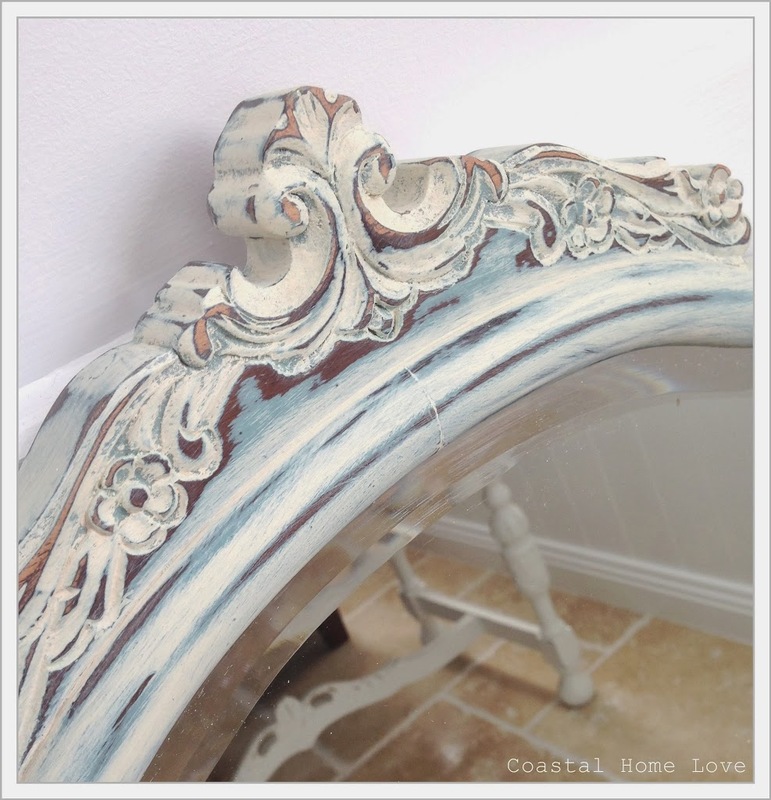 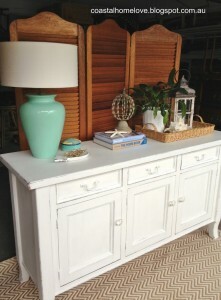 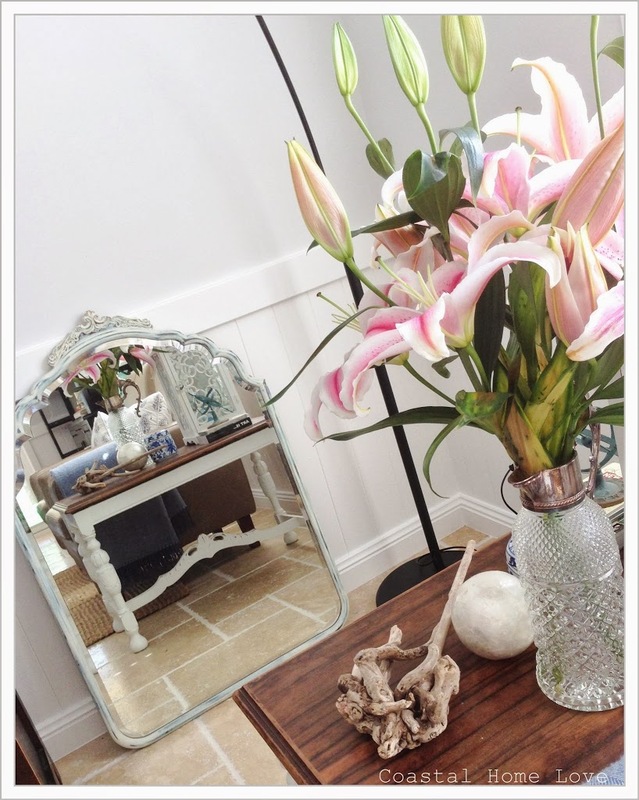 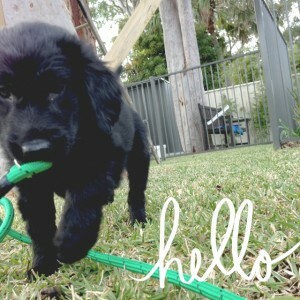 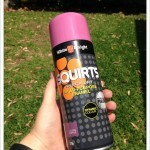 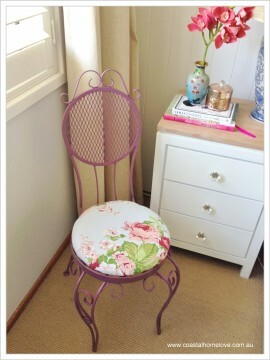 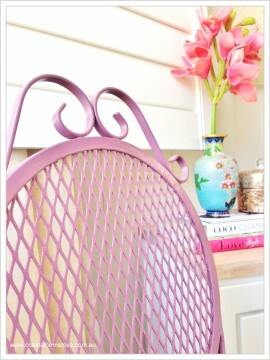 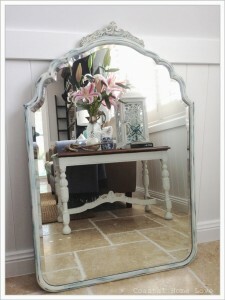 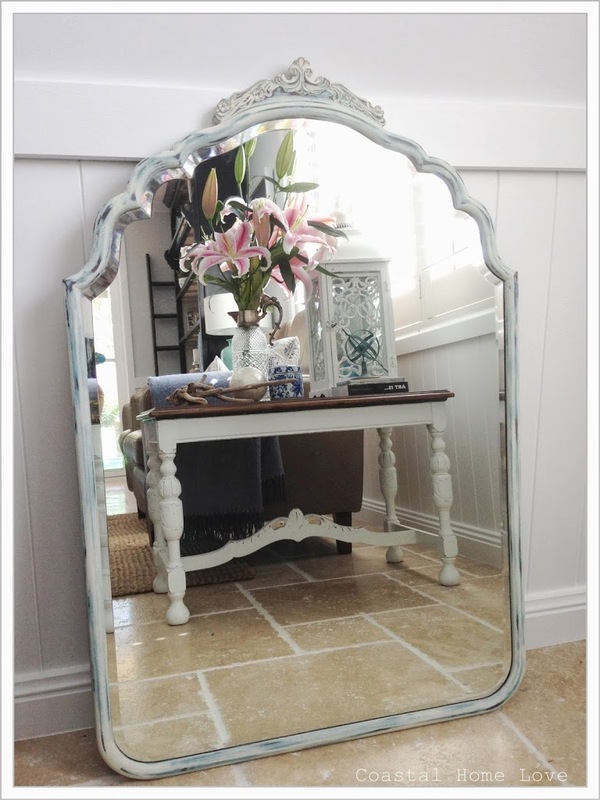 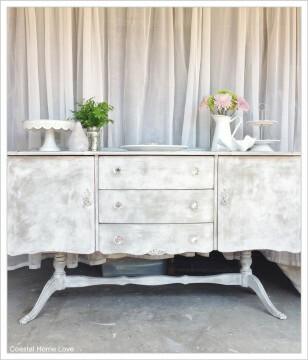 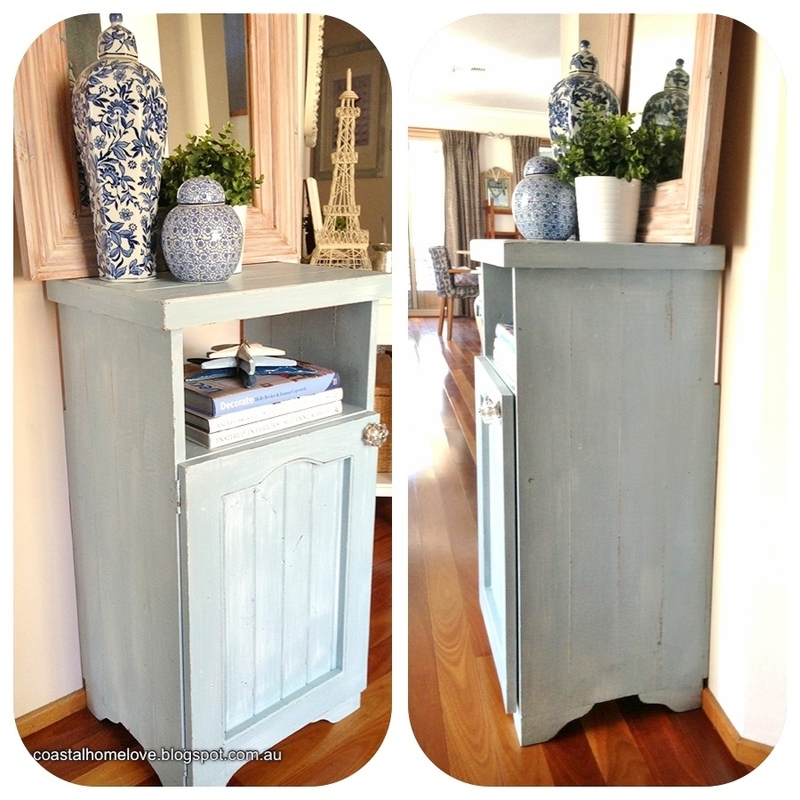 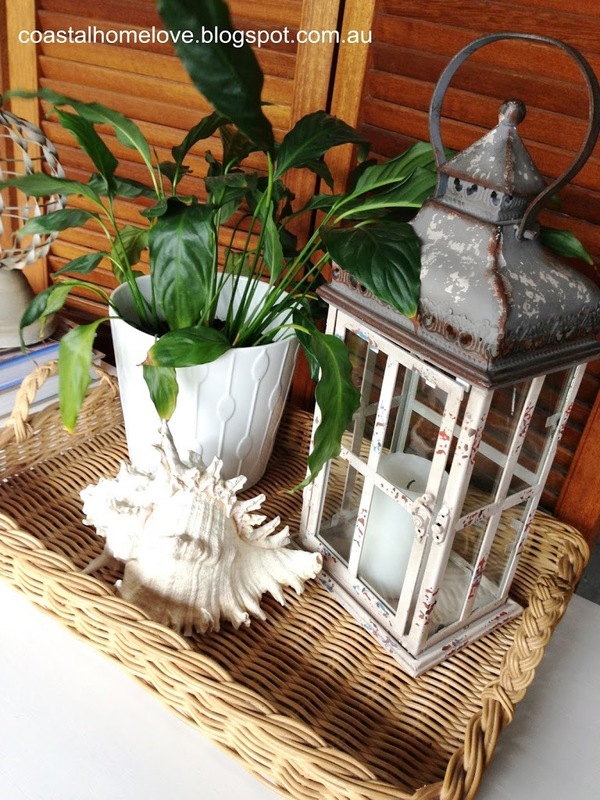 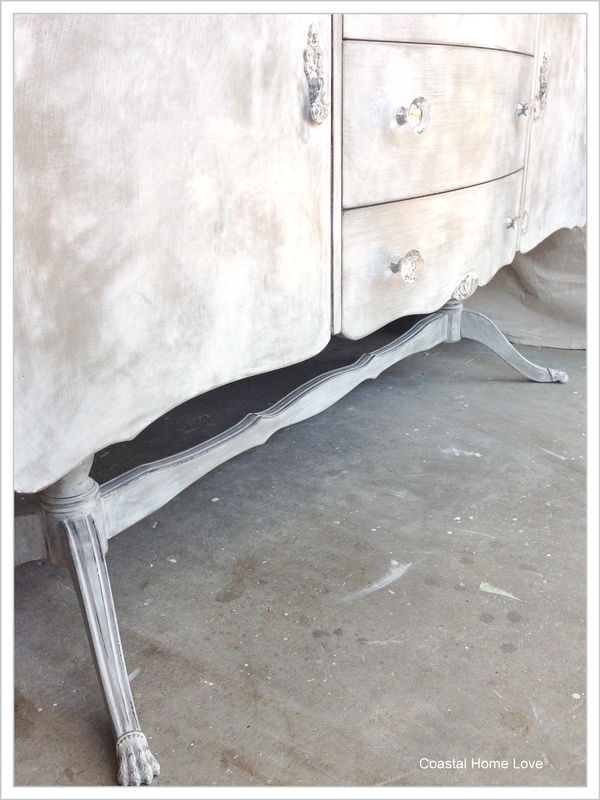 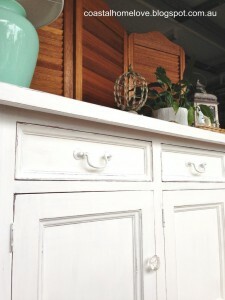 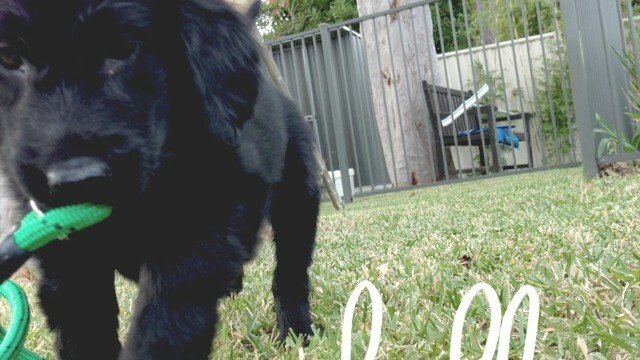 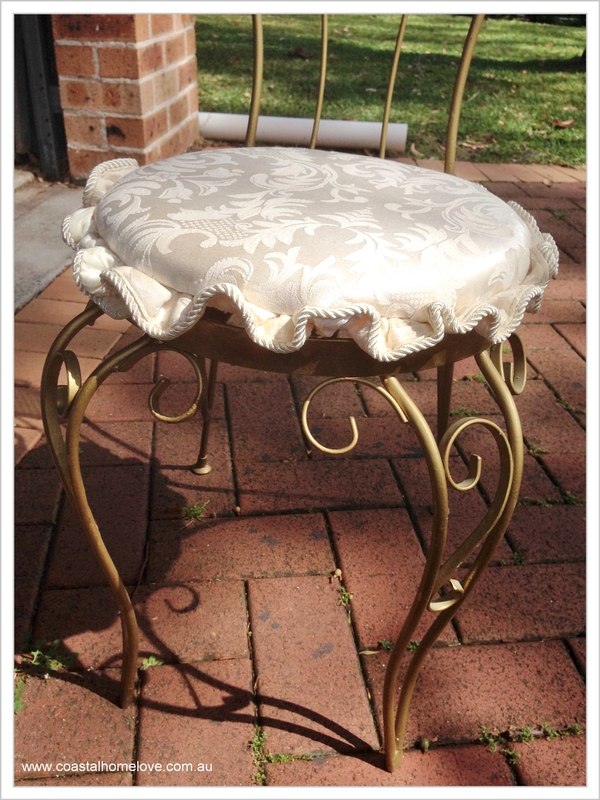 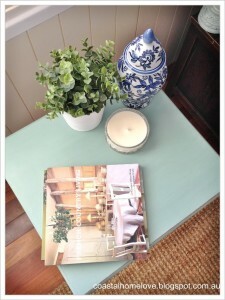 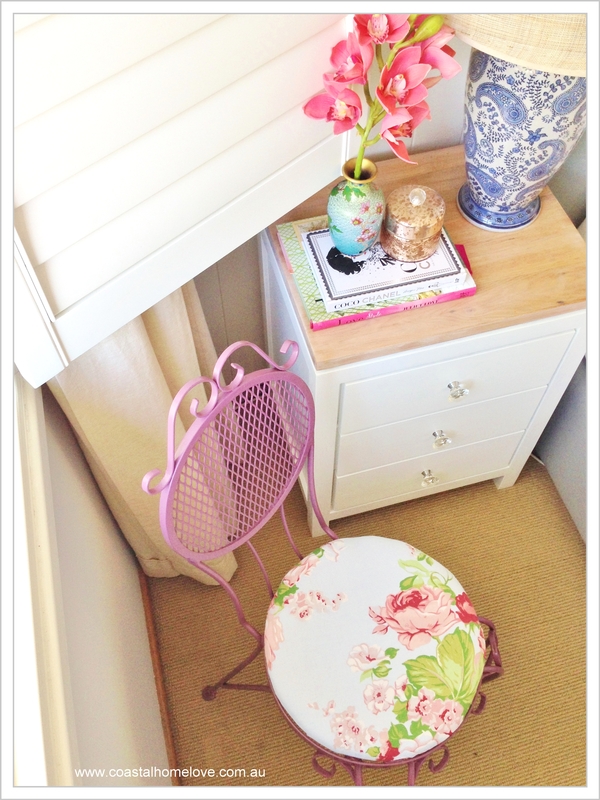 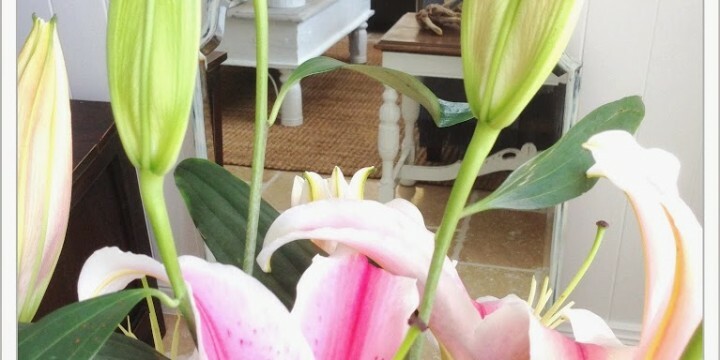 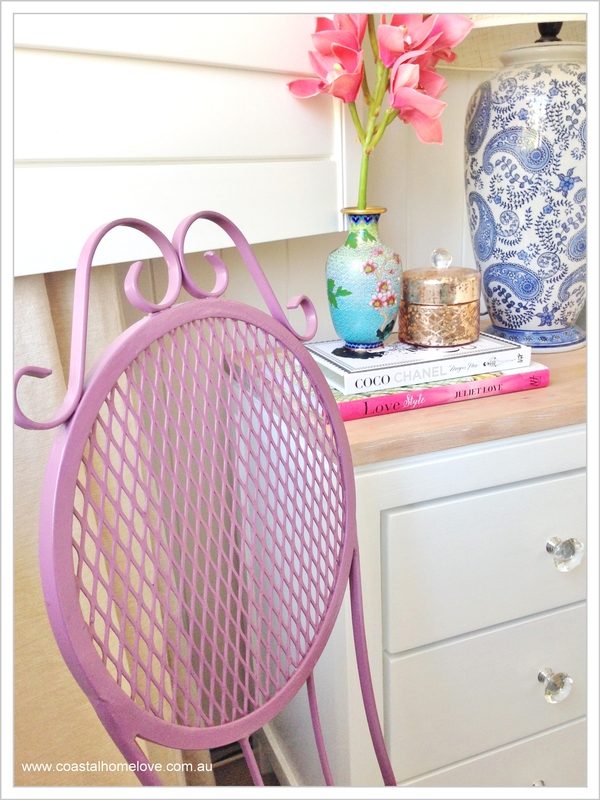 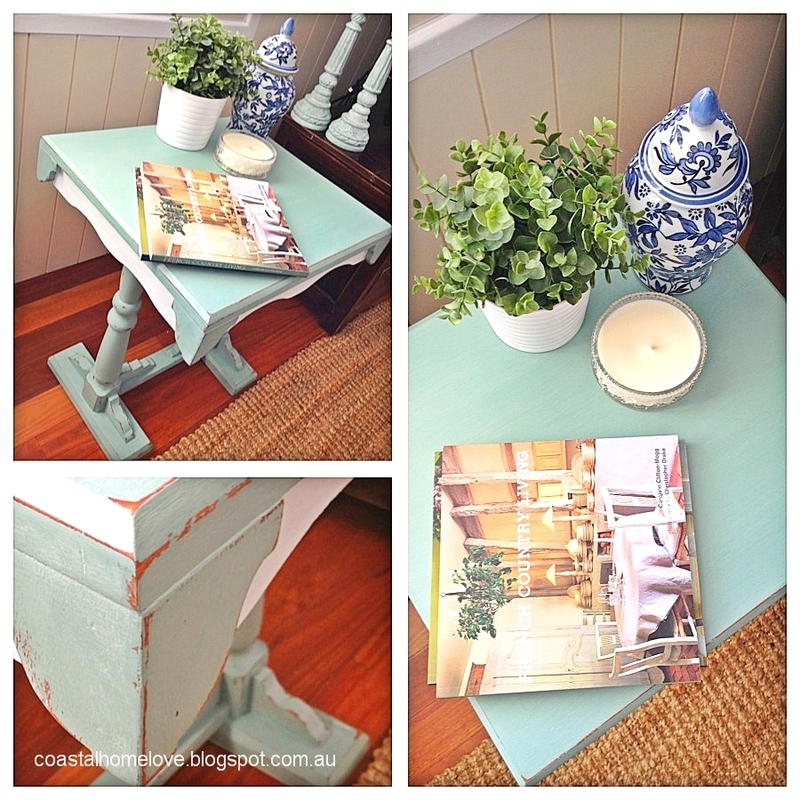 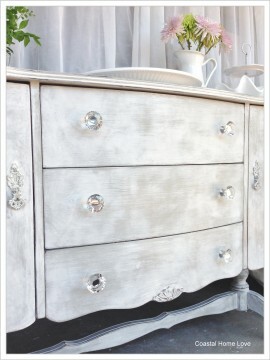 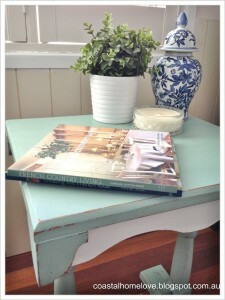 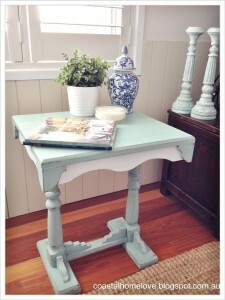 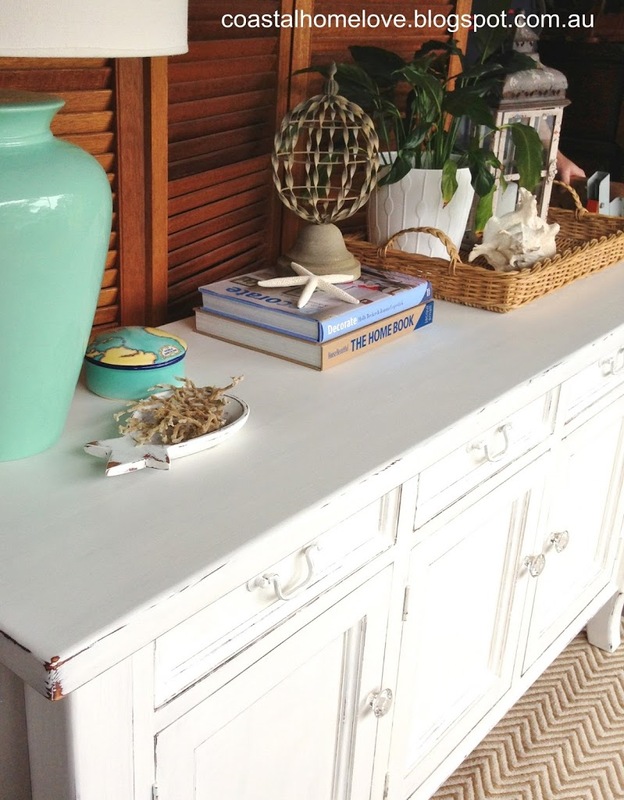 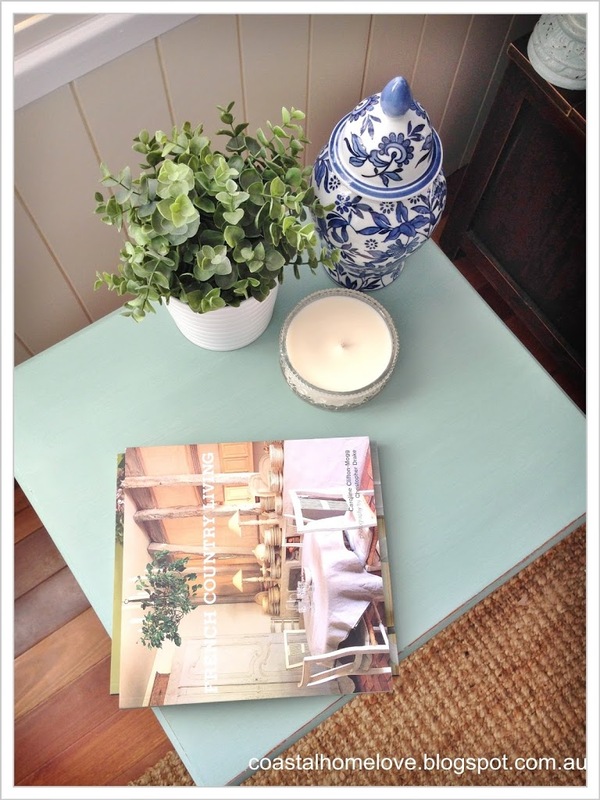 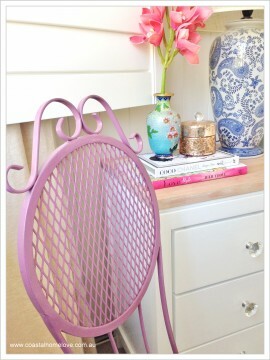 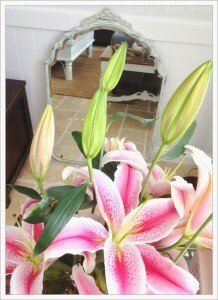 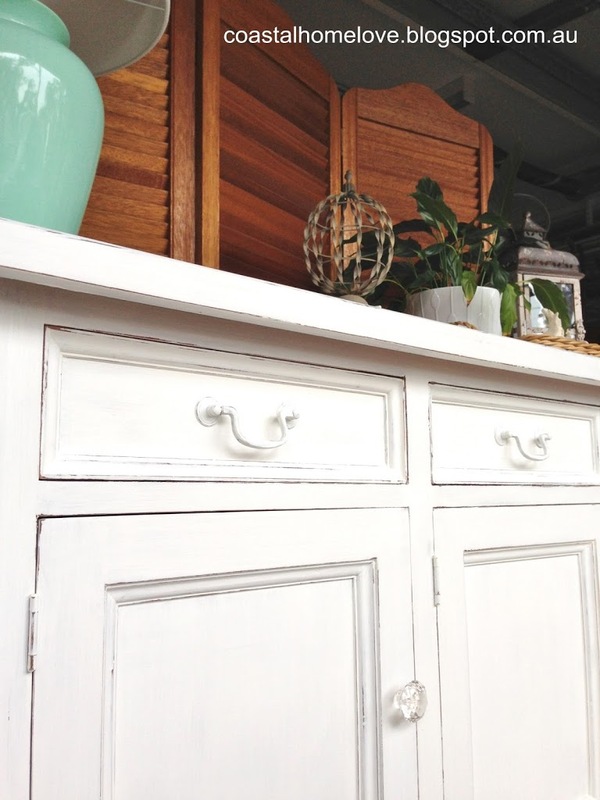 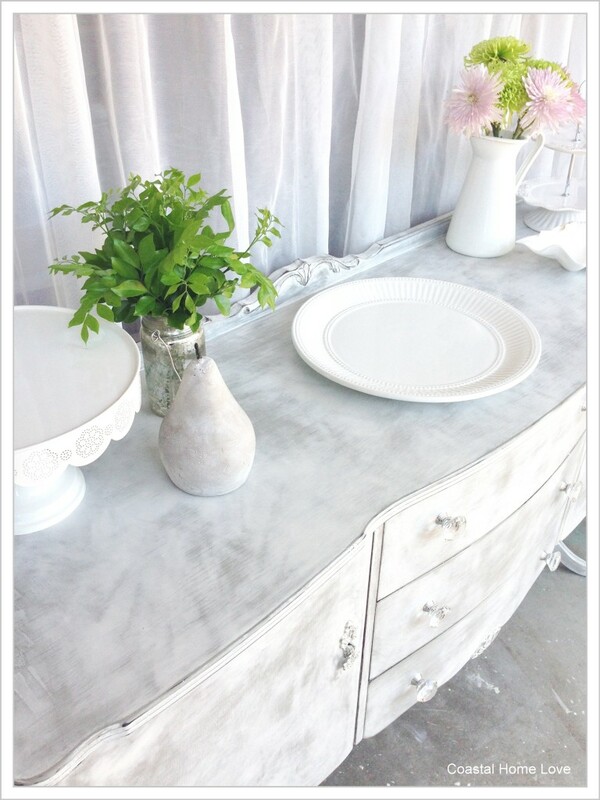 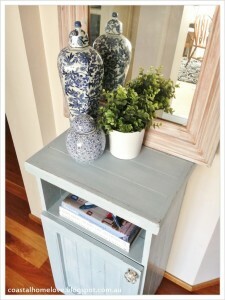 You are here:Home / Posts tagged "Shabby Chic"
Power Styling and a Coastal Sideboard Makeover! 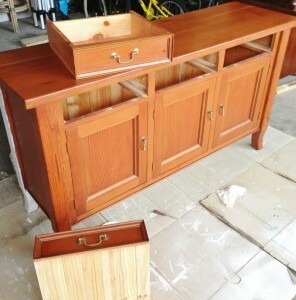 Here’s a before pic, orangey finish, but a well made quality piece. 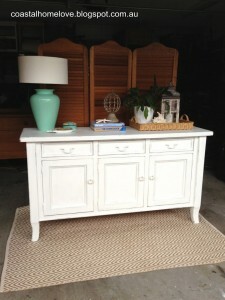 I worked on this piece in the garage, aka my studio 😉 Due to its size and weight I decided against hauling it up to the house to take photos. 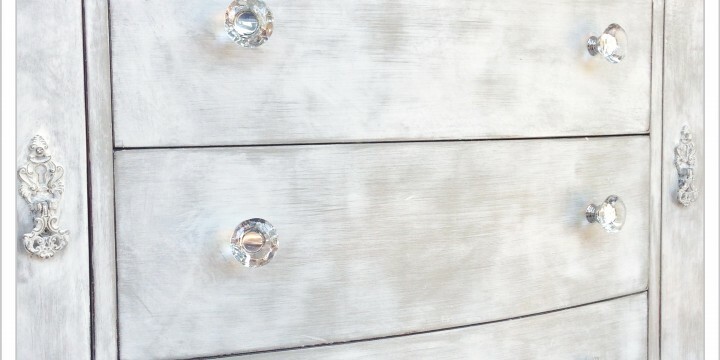 I refinished the original drawer hardware and added some new crystal cut glass knobs to the cupboard doors for a touch of bling! 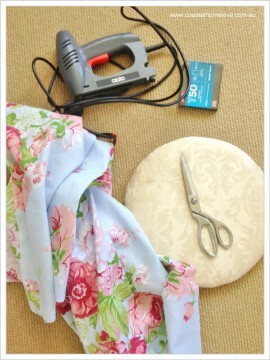 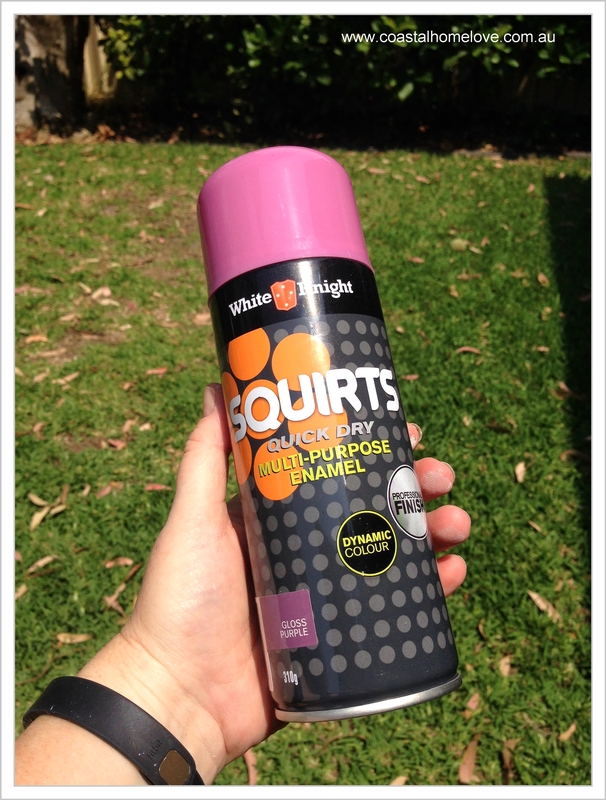 Who would of thought garage styling would be so much fun! 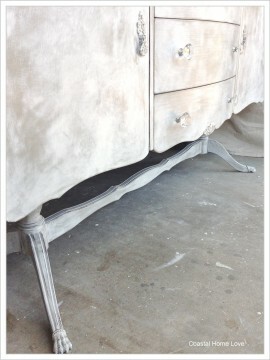 I wonder how many calories are burned Power Styling? 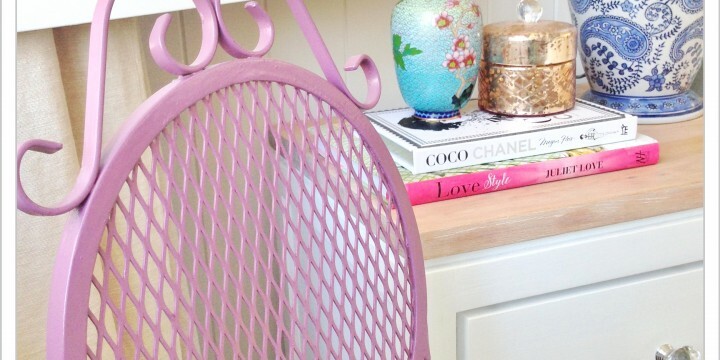 Have you had to style on the hop? 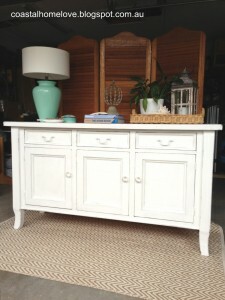 The sideboard was picked up this afternoon and my client loves it, which makes me very happy!